Discussion in 'UFC Discussion' started by BareKnucklez**, May 14, 2014. 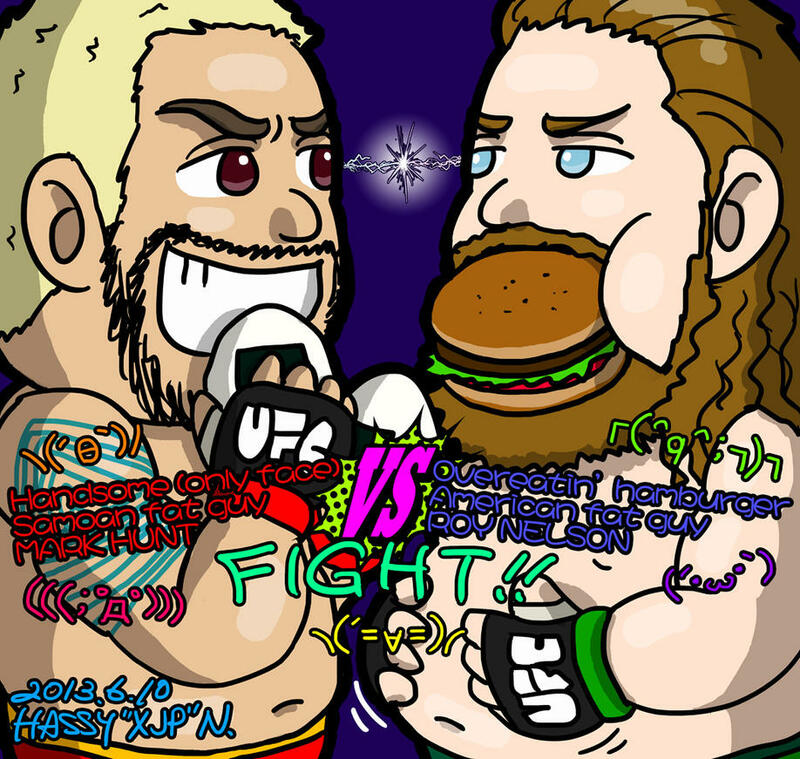 Apparently Mark Hunt has been offered a fight with Roy Nelson. I've always wanted to see this fight, hope it happens. Its pretty much guaranteed to be entertaining. If he is offered the fight then it is on assuming Roy has also accepted. Mark won't turn down a fight. They've been teasing it for a while. I really hope this fight happens. i'd like to see this fight as well. hunt vs nelson would be an entertaining fight between these two brawlers. Isnt that kind of old news? They said this fight was targeted for that Japan card. Roy would rather stand and bang these days,so,yes...letsmotherfuckers! If that changes let me know, I don;'t want to get too pumped. Just like I was sure Hunt Bigfoot wouldn't. Hunto via head movement and general awesomeness. I could see this being a fight that has "no chance" to go the distance ... but then goes the distance. It won't be a maybe if Dana sees the reactions. It seems everyone wants this fight, lets just hope Hunt and Nelson want it too.